This grand hotel is luxuriously modern with mirrored pillars, highly polished floors and a light, bright interior throughout, all intentionally designed in a modern fashion with the benefits of Venice on the doorstep. A beautiful non-consecrated church is situated within the grounds, perfect for weddings of up to 100 guests, with an imperial style table running from one end to the other. The original church building has been lifted several metres to allow for air-conditioning and modernisation, including the addition of toilets and a polished stone floor throughout, but the beautiful original exposed brickwork and features still remain. The church also doesn’t have music limits so ideal for an evening reception. Couples can choose to head up to the rooftop terrace for sweeping views across the lagoon to Venice; a beautiful spot for a wedding reception or casual brunch in the morning. 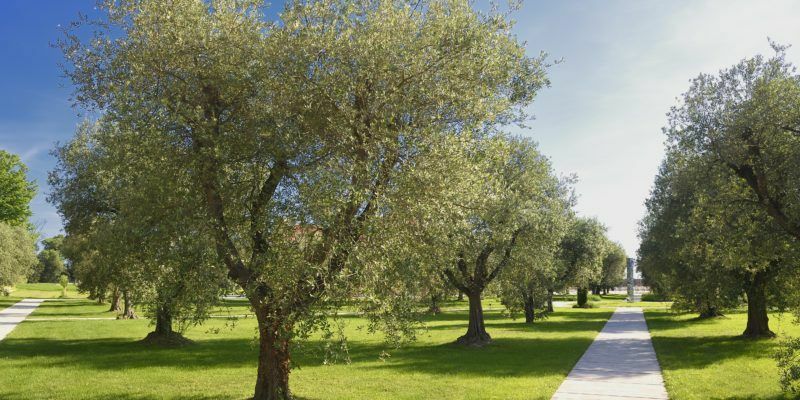 Alternatively, why not enjoy a luxurious picnic in the olive groves for a relaxed and informal affair. For weddings of up to 1600, marquees can be accommodated in the extensive grounds, catering for the fairytale wedding of your dreams.